Condemning the Rudd Government’s response to climate change as ‘dangerously inadequate’, a coalition of environmental groups has put forward a compelling alternative response entitled Plan B: An Agenda for Immediate Climate Action. Greenpeace, Friends of the Earth, the Wilderness Society and the state-based conservation councils including Environment Victoria were amongst the key organisations, together representing more than 400,000 Australians, backing the alternative plan. 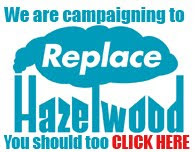 The environment groups behind Plan B have called on the Rudd Government to abandon the fundamentally flawed Carbon Pollution Reduction Scheme (CPRS) which rewards big polluters and includes loopholes such as allowing unlimited carbon credits to be bought overseas. This strong condemnation of the CPRS in its current form is consistent with the message put forward by Yarra Climate Action Now alongside 65 other climate action groups around Australia in a letter sent to Kevin Rudd in May. The Rudd Government needs to let go of its flawed and irredeemable CPRS – it’s time for Plan B. Be there, or be Heather Ridout*! We want a real solar feed-in tariff!